But really, nothing is truly original, right? I had to buy the thrift-store dress, not only because it was cute and inexpensive and a close-enough fit, but also because I had to knock it off! 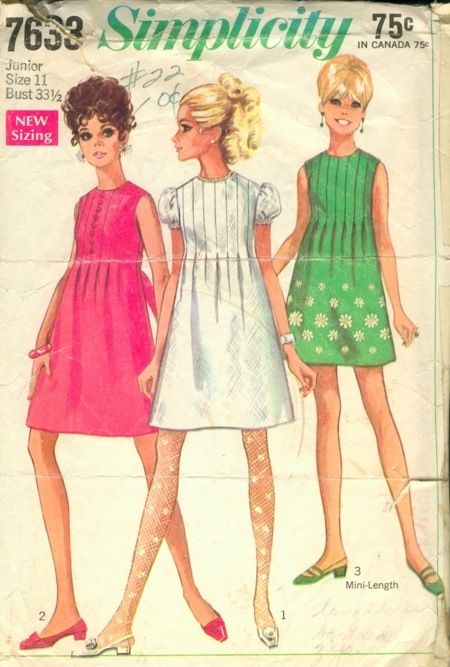 I didn't buy the vintage pattern (missed the auction for the pattern in my size). 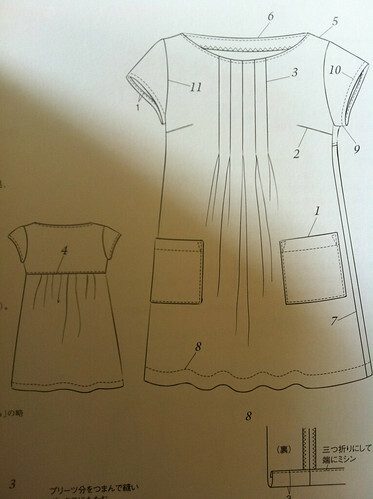 I didn't trace out the pattern from Stylish Dress Book. I knocked this H&M dress off. You might think that's the option of three that presents the most work, but for some reason it made me feel more confident, I guess because I tried on the H&M "muslin" and had a good idea of fit. 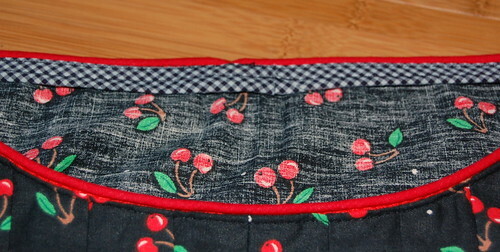 My version has a piped neckline and a narrow gingham binding to finish it off. 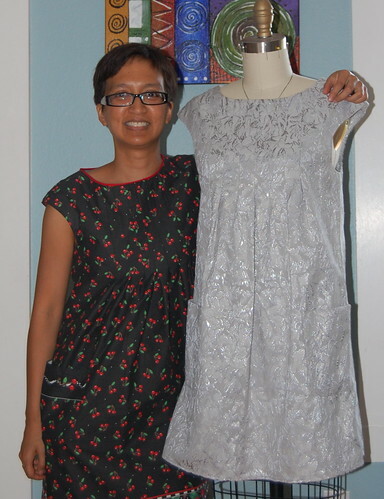 It's a little bulky and makes the neckline stand away from me a teensy bit, but overall I love to wear it. It was so simple to put together that I might crank out a couple more of these this summer! That border print and piped collar turned out perfectly! So cute (and comfy looking)! I'll bet you're getting tons of compliments whenever you wear. p.s. Don't tell her I told you, but my mannequin Juanita's shoulders are so chunky I can almost never fit anything over her "head"--but I can't fault her for it, since it's not like she is able to flex her joints/exercise like normal people can. What a great dress you have made. It is really cute. And you are absolutely correct, a lot of creativity is about making your version of something. Welcome back! And I agree that a lot of creativity, especially when it comes to clothes, is making something your own. There's only so many forms a garment can take, so I definitely see things like color and print selection and details as part of the creative process. It is a lovely print. Looks good. Hi Stranger! Love the simple styling. Cherries, now that is a reminder of a Sydney summer. It is usually cold here now. Gosh, I totally missed this post too! The cherries dress is AMAZING! Love the piping!! 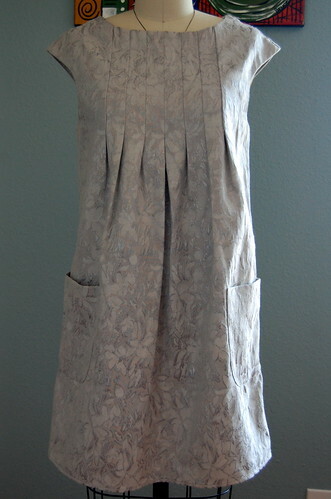 and the pockets. You totally rocked it! p.s. LOL about Clem eating too much cheesecake! You never know what dressforms are doing when we're not watching! Very cute! 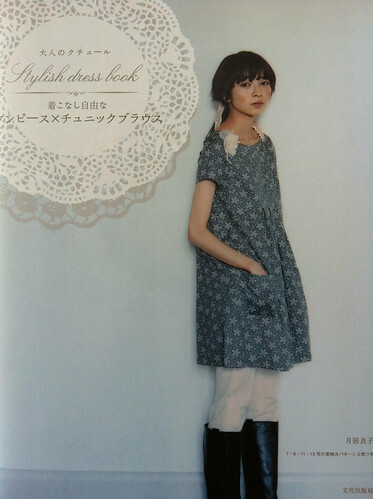 That dress from the Stylish Dress book has been on my to-do list for quite a while. Enjoy your cherry print knock-off! P.S. When I tried to reply to your comment on my blog via email, it bounced back. Not sure why?! RE: Sorbetto Tank Top, movement is not restricted, it's quite comfortable. I would have chosen the knock off route as well! And I think I've seen that design about 10 times as well - in other fabrics, brands, etc. Maybe it's become a classic? great job! I love your pattern and fabric choice...the cherry prints looks really sweet..love the piped neckline and gingham bias tape..